Once per turn, if this card is targeted for an attack: You can Special Summon 1 Level 5 or lower Spellcaster-Type monster from your hand, then change the attack target to it, and if you do, the attacking monster's ATK becomes half its current ATK. 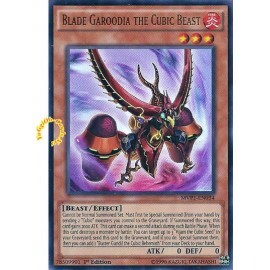 If this card is destroyed by battle or card effect: .. 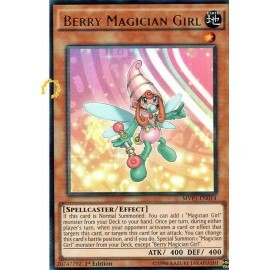 If this card is Normal Summoned: You can add 1 "Magician Girl" monster from your Deck to your hand. 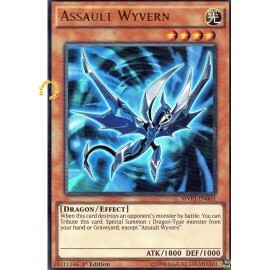 Once per turn, during either player's turn, when your opponent activates a card or effect that targets this card, or targets this card for an attack: You can change this card's battle position, and if.. Cannot be Normal Summoned/Set. Must first be Special Summoned (from your hand) by sending 2 "Cubic" monsters you control to the Graveyard. If Summoned this way, this card gains 2000 ATK. This card can make a second attack during each Battle Phase. 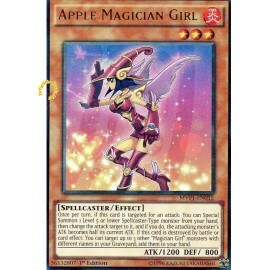 When this card destroys a monster by battle: You can.. Cannot be Normal Summoned/Set. Must first be Special Summoned (from your hand) by revealing "Blue-Eyes White Dragon" in your hand. 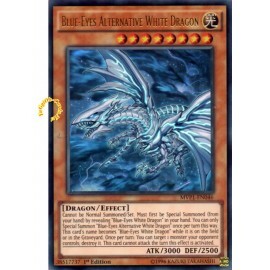 You can only Special Summon "Blue-Eyes Alternative White Dragon" once per turn this way. 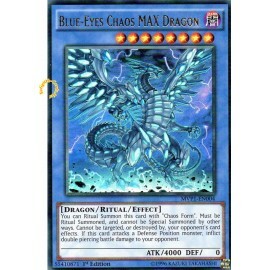 This card's name becomes "Blue-Eyes White Dragon" while it is on the field or in..